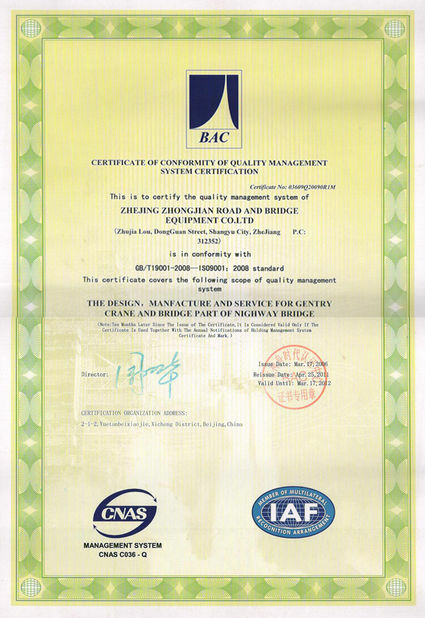 1, the vertical operation of the bridge on both sides of the specified height requirements corresponding to the level, to maintain a smooth. Front, middle and rear legs of the horizontal run track requirements level, and strictly control the spacing, the three tracks must be parallel. 2, skew bridge concrete beam installation, the bridge before the machine, the rear leg walking wheel position, left and right wheels to stagger before and after the interval can be calculated according to the angle of the skew, so that the legs can run in the same horizontal track (Please contact the manufacturing unit for specific matters). 3, the vertical movement of the bridge to do all the preparatory work, requiring a place in place, do not allow halfway pause. 4, the bridge machine crane to carry concrete beams Longitudinal operation, the front leg parts require hand chain hoist (5t) and traverse of the track to tighten the fixed, to enhance stability. 5, the installation of the bridge up and down longitudinal slope, the vertical shift of the bridge machine to prevent taxi measures. For example: the use of triangular iron in front and rear of the wheel for protection, especially in the leg from the beam end close, shift attention to control. 6, after the bridge machine assembly must be carried out hanging retired test crane operation, can also be used after the concrete beam test, the bridge machine and then run in place to start the installation operation. 7, bridge machine installation operations, we should always pay attention to safety checks, each installation of a hole must be a comprehensive security check, found that the problem to stop working and timely processing to continue operations. Do not allow mechanical electrical work to fail. 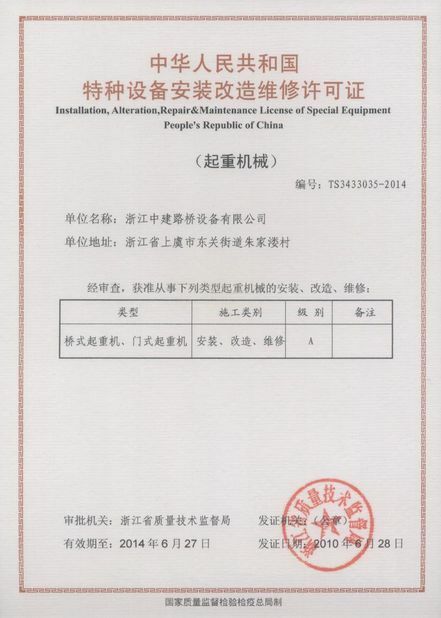 8, the installation operation is not allowed to run overload, not slanting lifting operations. Nine, connecting pin processing material must be required according to the design drawings, not with low steel processing instead. 9, five wind above the operation is strictly prohibited, must be rigging with a rigging bridge crane and lifting crane, bridge machine to stop working when the power to cut off to prevent accidents. 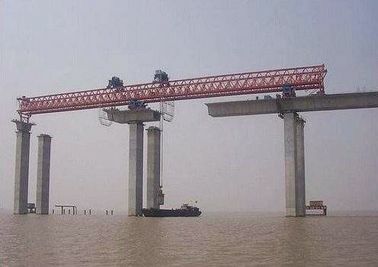 10, the vertical position of the bridge machine must strictly control the location size, to ensure that the concrete prefabricated beam installed in place. have a certain cultural knowledge, strong and strong, hard-working, willing to study the business of young people, and as a training object. 12, cantilever longitudinal movement, the upper two days of the car must be back, before the cradle back to the posterior leg; after the crane back to the rear legs and the middle of the middle of the high legs. 13, the top of the top high leg, the former cart must be retreated to the front leg; rear axle must be back to the post legs. 14, the former legs or high after the top of the high leg, the two-day car must be back near the legs. 15, the former high-seat top position, you must use a special fixture will be the top of the stroke section of the lock, so that the jack for a long time force. 17, bridge machine must be set up lightning protection device, by the use of units to solve their own. 18, bridge machine carts walking beam beam carrying capacity should meet the relevant requirements, the two free end must be set iron. Carts are equipped with special tools (wedge iron) and warning signs, if due to mechanical, electrical or misuse caused by carts runaway, the wedge into the walking wheel between the track, so that the bridge can not continue Slip. 19, in the bridge machine longitudinal or traverse at both ends of the track, must be set to block the iron to ensure the stability of the bridge machine shift. 20, before the bridge machine work, should be adjusted before and after the height of the leg, so that the main bridge longitudinal girder slope <1.5%. 21, bridge machine longitudinal walking track laying longitudinal <3%, should not be adjusted to meet this requirement. 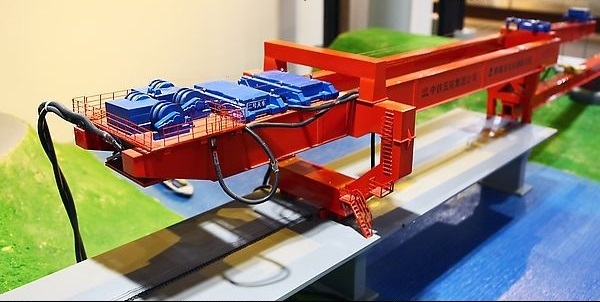 22, the bridge machine in the downhill working conditions, longitudinal rail or longitudinal slope> 1% to 3%, you must use the hoist to pull the bridge machine to protect, to prevent the car down.